To many people, the idea of reinventing yourself at or after the age of 50 is a frightening prospect. It sounds like throwing away a lifetime of experience and taking a risk! But the truth is that staying in a job you do not like is a risk. Retiring and doing nothing is a risk. There are always risks to take, but reinventing yourself and taking on new challenges are good ones. At 50, we have a lot of experience. We have been around and seen a lot of changes around us. Who better to take on the challenge of reinvention than you? Reinventing yourself and your career is not frightening at all if you think about it. You might have to learn new skills or brush up some old ones, but essentially it is an opportunity to find yourself at 50. And you will get there by relying on all the skills and experience you have gathered until now! Look at it as the chance to do what you always wanted to do but were never given the chance until now. We have put together a list of ten different ways and reasons to design yourself a new life, a new career, and maybe even a new you at 50. Reinventing yourself does not mean changing who you are. In fact, it is just the opposite! The idea of reinventing yourself is an exciting chance to bring out the real you! Being the real you means doing things you enjoy, using skills you have not exercised much until now, or learning something that has always interested you. We call it reinvention, but it is really just rediscovering the person you thought you might become when you started out. Let’s say you have held a job as an inside salesperson at a large company for 20 or more years. You are used to doing things in a certain way because it pleases the boss. But that is learned behavior – it should not define you. If you enjoyed your work, ask yourself what parts of it were really the most satisfying? What parts could have been better? Did you have ideas over the years to improve the job but management was not interested? Now it is the time to make those dreams come true! You could reinvent yourself as an entrepreneur and introduce your ideas about inside sales! On the other hand, if you have resented the work and not liked it all this time, you have probably had thoughts about what would be better. Why not explore them now? According to Psychology Today, “Many of us dream of a future that's very different from our present. 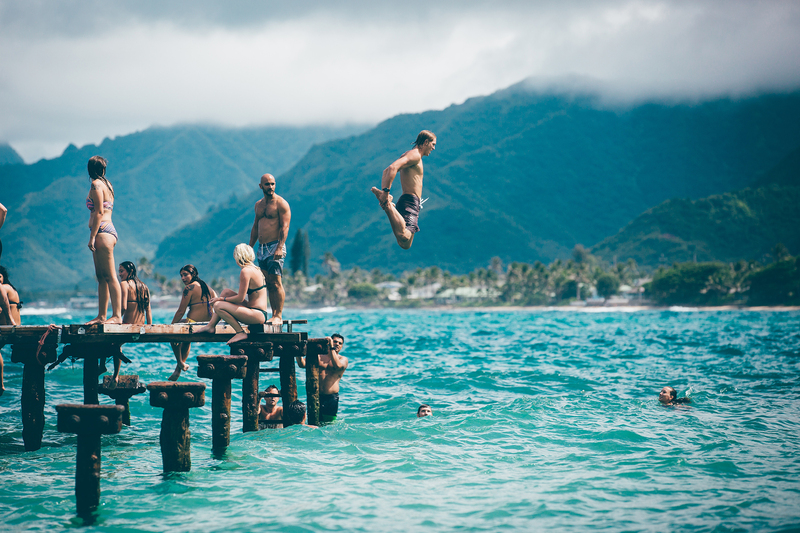 We'll live in Hawaii instead of Hackensack; abandon singlehood for family life; or paint murals for a living.” The point is that when you reinvent yourself, you are not becoming someone else – you are becoming more you than you have been in years! How often have we heard that dangerous command? “Act your age!” We say that to naughty children and surly teenagers when they are screwing up. But people will say it to us, those of us over 50, those of who have the idea of doing something new or changing our careers and our lives. Ray Kroc founded McDonald’s at 52. Harland David Sanders created KFC at the age of 62. If those two had thought it was too late to think of career change at 50, two fast-food multinationals would never have existed! Instead of “acting your age” as a negative, use your age as a positive. At 50 you have so much more knowledge and wisdom than you had at 20. You have had ideas and dreams, and only now do you have the intellectual tools to put them into action. There are so many reasons why becoming an entrepreneur after 50 is a much safer risk than when you are much younger. You have already made mistakes, but they were made for other people. Now you know how to avoid them! If you are like most people, you have probably held up to 10 different jobs in your life until the age of 50. Some of them you enjoyed, some you hated, and some were just placeholders until something better came along. On average you have probably been working fairly steadily for about 30 years give or take. That is a huge resource for you to rely on when you are thinking of reinventing yourself. Look back at the jobs you have loved and ask yourself what it was about that job that made you happy. Was it the colleagues? Was it the industry? Maybe you interned in a travel agency as a part-time job after college. In your reinvention, maybe now would be the time to bring that experience back. Open your own travel agency or take travelers around the world in excursions. By revisiting your past, you might find great ideas for your future! This is an important thing to do. But it is important that you take stock of your skills in a creative way, thinking outside the box. Your skillset is not just about the skills that you used in your career up until now. It also includes all the skills that you have not used very much or have only partially developed. Did you study French in college? When was the last time you used it? Is part of your job dealing with customer complaints? There are a whole host of skills that you probably have never thought about as skills because they never were used in your job. Wallace Stevens spent most of his life working as an executive for an insurance company in Hartford, Connecticut. He had a gift for writing and expressing himself well and, by well after the age of 50, had reinvented himself as what literary critic Harold Bloom called the "best and most representative" American poet of his time. Stevens’ skills were in writing opinions and actuary files. But the real skill was writing. Think to yourself – if you were always good at filing, what other skills are part of that? Organization, streamlining, logical thinking, pattern identification, and more! If you were good at sales then you likely were good at human relationships, empathizing, listening, deductive reasoning, and following up. Make a list of these skills and see if there is something in there you can use for your reinvention. Remember when you were just starting out? After high school or college, you probably have one or two ambitions for yourself. Take a stroll down memory lane and think what those things were. Some people may have always had their heart set on helping other people but ended up working for a large corporation. Some people may have only wanted to be surfers, or have their own band, or have their own bar. One of the things we have in abundance at 50 is memories. We have been places and done things and met people, and all of that experience can help us decide the best way to reinvent ourselves. This could be the best time of our lives, as long as we recognize the opportunity in its overalls. The world is changing all the time. In the past 30 years, we have seen huge systemic changes in how we think, how we work, how we communicate. During these years we have seen the rise of the computer, the PC, the smartphone, and have come well into the Information Age. At 50, we have watched all of these astounding innovations come into the world and take it over. We now must face these changes squarely and see how they have affected us. We are far from the "digital natives" who are getting to work now and admitting this reality will help us in reinventing our lives. But while the world has been changing, we have been changing with it. It is a terrible misconception, often heard from older professionals, that we are too old and too set in our ways to keep pace with the world. This is not a fact – it is a choice. And if we have come to the conclusion that we should embrace a change of career, then we know that we can learn the skills needed to stay in the game. If we want to launch a new business, many of the traditional tools with which we may be familiar are now different. This only means we need to take a few classes, follow a few online tutorials, read a few books, in order to get up to speed. But the worst thing anyone could do is just to throw up your hands say "I'm too old for this." You aren’t too old unless you decide to be. A personal brand is how we want people to think of us. If we have been living in the same place and talking to the same people for many years, our friends and colleagues think they “know” our personal brand. They come to expect certain actions and reactions from us. But in the process of reinventing yourself for your own career, you will also want to think about reinventing and recasting your personal brand as well. Where we once used CVs and resumes to show off our careers and expertise, now it is all about creating your personal brand online. Using Facebook and LinkedIn, you can shape your own personal narrative and allow people to understand the new direction you are taking. Update your photo, write a good summary of your career ambitions, and link to a few relevant articles, and people will follow you into your new personal brand without batting an eye. One thing people fear in changing careers or life choices is how your peers and friends will look at you. But if you change your personal brand at a slow pace, you will find that the only reactions will be those of admiration and respect! Think of how many people you have met over the years! You have former colleagues, classmates, friends and acquaintances, people you met on trains and planes, and that stack of business cards you have from a convention in Las Vegas in 1987. This is a great time to reach out and reestablish contact with people that you once knew or fell out of touch with. Much as you have been changing, they have been changing too. Maybe one is an angel investor looking for a new opportunity. Maybe one is software development guru. Maybe one is part of a network for older professionals, tech companies, or entrepreneurs. Until you flip through your contact list or dig out your old Rolodex (remember those? ), you will never know how some of the people you already know can help you in your self-reinvention. Our contacts and the people we have met in our careers are certainly a huge advantage offered by age, and we should take full advantage of it to see who is out there, what they are doing, and how we might help each other achieve our goals. Not to mention that some of them could be potential clients for your new business! When you get to the point where you have learned new skills and acquired new knowledge, there will always be a moment where you are just going to need more help. When you are reinventing your career, never lose sight of the fact that you do not need to do this all by yourself! On the contrary, the trends on the marketplace point toward more cooperation and division of expertise. If you want to build a website to help people with their medical needs, for example, you will need a software engineer, a web developer, and probably a doctor to consult. No one expects you to learn all that yourself. In your new business idea, think about what expertise you are going to need, budget for it, and get it in. Self-knowledge is another attribute that develops with age that will serve us well in our new careers. We know how much we can handle and we know where a helping hand will be needed. The popular myth about startups is that they are born from the brain of a single genius. Most of the most successful companies, however, are born of a vision and the decision to get expert help to make it real. Look at Jobs, Zuckerberg, and Musk. They have all known how to surround themselves with the right people to get the job done. Finally, the best advice for anyone who is deciding about changing directions in their life or career is to stay positive! The reality is that you can change your career any time you like – and at 50 or more, the chances of your doing right are that much better because of your experience! Stay positive and ignore the naysayers!